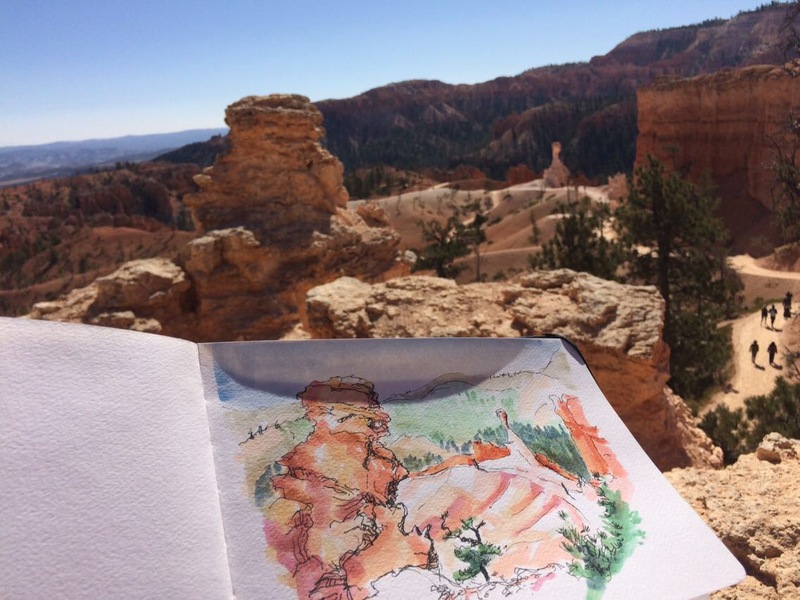 Endurance sketching today in Bryce Canyon. Nobody warned me about those bitter cross winds! 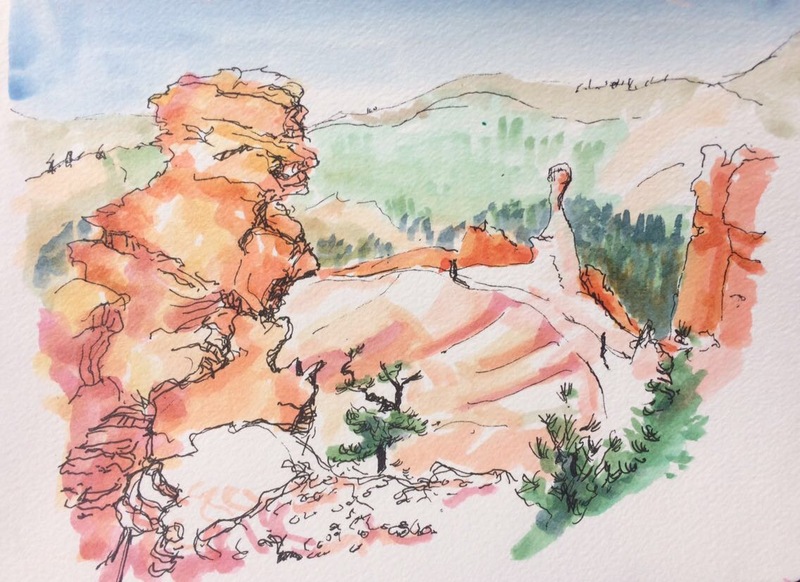 I put the full Faber-Castell ‘Terra’ Pitt pens through their paces in far from optimal sketching conditions – stood on a cliff, on a narrow path, in mighty gusts! 7 layers and still chilled to the bone. 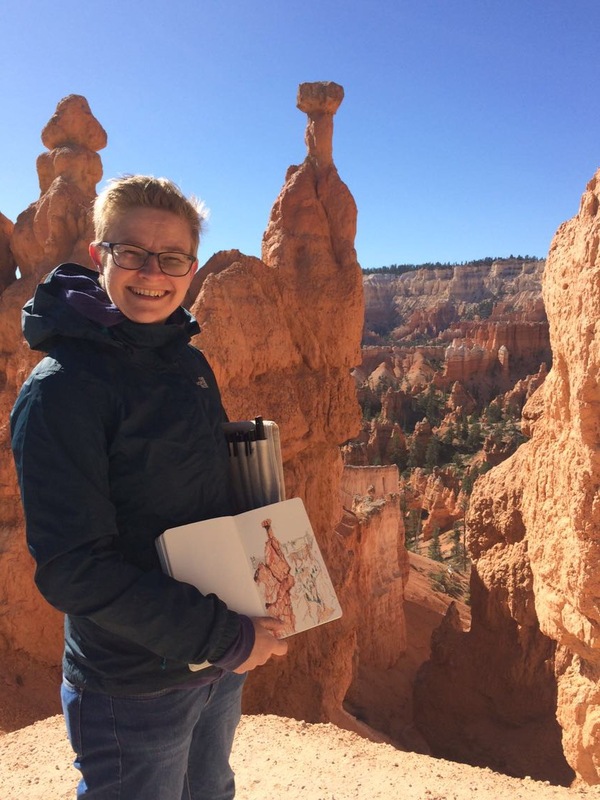 A walk around the stunning Navajo loop saw another opportunity to perch precariously for 45 minutes. I really missed my compact little paint palette, as shuffling through a rucksack for the right colour inks on a steep slope is not so fun. After that, a 4+ hour drive to Moab. 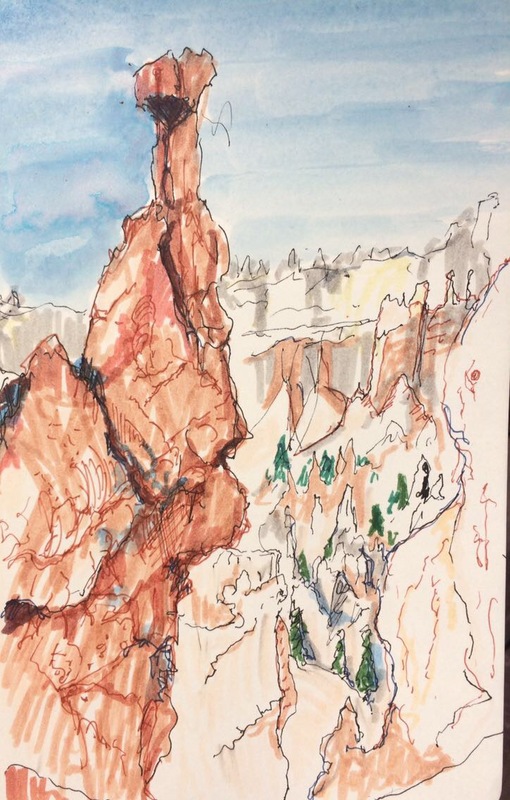 Some truly eye-watering scenery, if only I could sketch and drive at the same time.